Like yesterday’s photo, I found this one by searching Flickr for “streetstyle”. 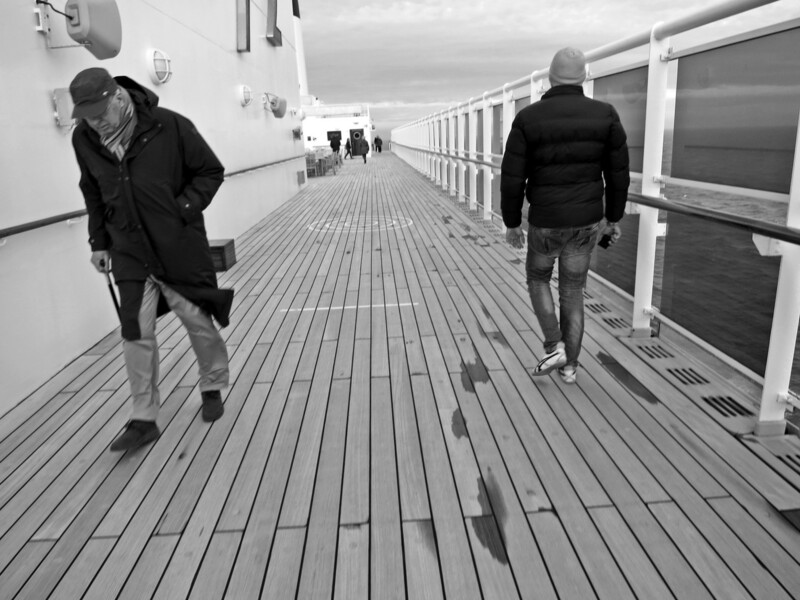 There’s something seemingly appropriate for Day 2 on January 2 featuring the deck of the Queen Mary 2. Triple two. The perspective, which black and white emphasizes, grabs me. Photographer Carlo Mirante is from Italy, and he joined Flickr in June 2008. I worry when no EXIF data accompanies a Flickr image, as some people share what they didn’t shoot. But after looking over Carlo’s 500px and blog/gallery, I assume he is the shooter, using Canon PowerShot S200.